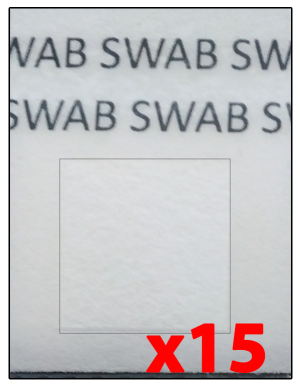 ChemSee’s Formaldehyde Swab Detectors allow for rapid, easy detection of Formaldehyde in / on the surface of food (PATENT PENDING). 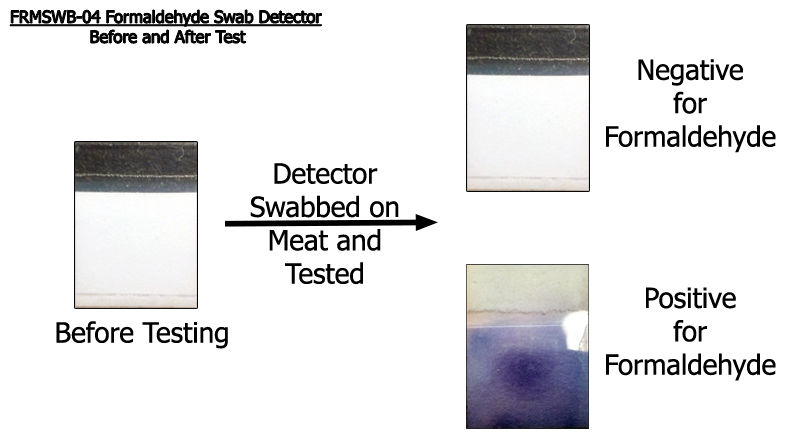 This instant detector is rubbed on the surface of a suspect sample, wetted and will change its color. The color change is a bright purple color which is easily visible by even colorblind people. A simple color change alerts the user when Formaldehyde is present. The detectors can be used to test foods such as Fish, Shrimp, Meat, Cheese or even Liquids for the presence of Formaldehyde. Full instructions are provided to ensure that all tests are performed properly. Testing for Formaldehyde can be completed in LESS THAN THREE MINUTES. • Detects Formaldehyde using a Single Test Strip/Detector. • User does not need to Mix Solutions. • Small Size and Weight. • No Special Storage Requirements. ChemSee has tested many commercially available foods for the presence of Formaldehyde. Tests have been ran in duplicates, as well as on different batches of the same fish. A portion of the results from API’s tests can be found below. It was found that many of the fish imported from other countries such as China, Indonesia and Vietnam have much higher levels of Formaldehyde than what is naturally present in fish. This may indicate intentional adulteration to increase the food’s shelf-life.